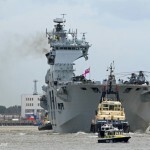 THE FLAGSHIP of the British navy is to visit Greenwich at the end of this month. 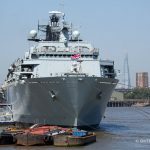 HMS BULWARK is expected to arrive in the capital on May 29th and will moor at Greenwich.The visit by the 176-metre vessel, currently under the command of Captain Dean Bassett RN, will help mark the 350th anniversary of the Royal Marines. 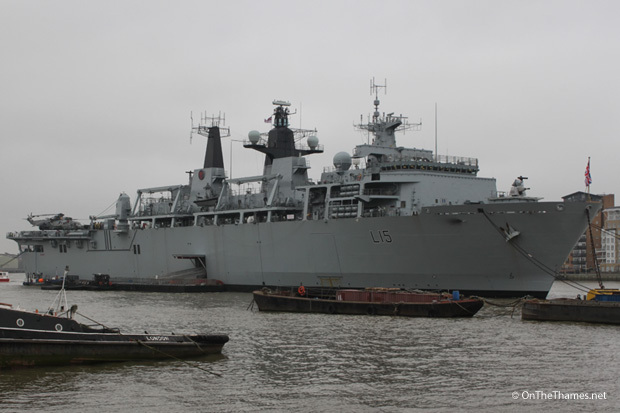 The Albion-class assault ship last visited London in March 2011 and last year, she took part in to the Response Force Task Group's Cougar 13 deployment. 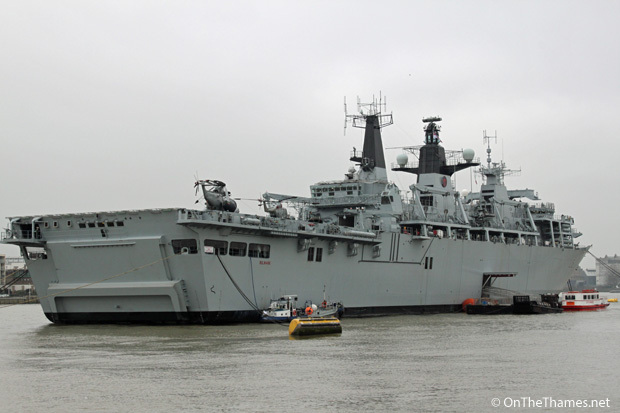 There will be two open days during her stay to allow members of the public to look around the warship. The free open days will take place on May Saturday 31st and Sunday June 1st. 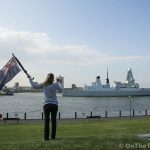 Ticket-holders will be able to join hourly trips on to the ship, with the 9am slot on both days reserved for local residents. 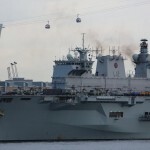 There will also be attractions and chances to meet Royal Marines in the grounds of the Old Royal Naval College at Greenwich. 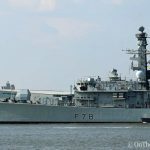 After leaving Greenwich, BULWARK will head to Southsea for a capability demonstration before leading a naval flotilla to the coast of Normandy to mark the 70th anniversary of D-Day.